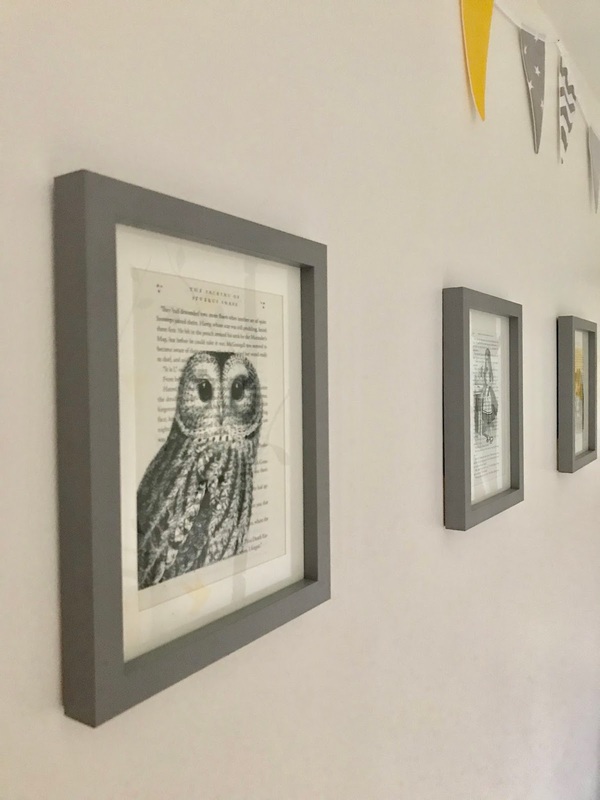 We've been in our house just over two years now and I've enjoyed decorating our first home. We always rented before and although we've had freedom to decorate in most of them, when renting there's only so far to go as I was always concerned about putting too much money in to someone else's property. Our home is a three bed ex-council semi. Its most certainly not the prettiest of houses from the front, but the rooms are large, it has plenty of garden and is solidly built. The street quiet and the neighbours are lovely, and even if we had been willing to pay a lot more money than what we did for this, we would have struggled to get something as big. It has lots of potential and I have lots of ideas for big changes in the future, but so far we have mainly re-decorated most of the rooms. My intention was to stick to a gender neutral colour scheme. Even once I knew I was having a girl I still wanted it to be neutral (just in case!). 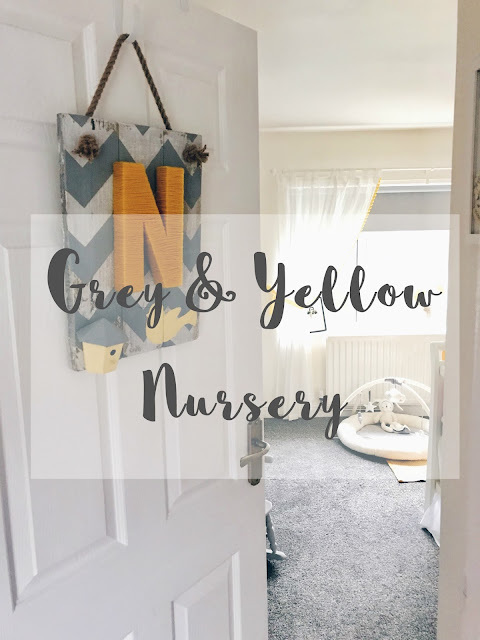 I chose grey with hints of yellow, the idea being the yellow can be swapped out for another colour in the future without major redecoration. 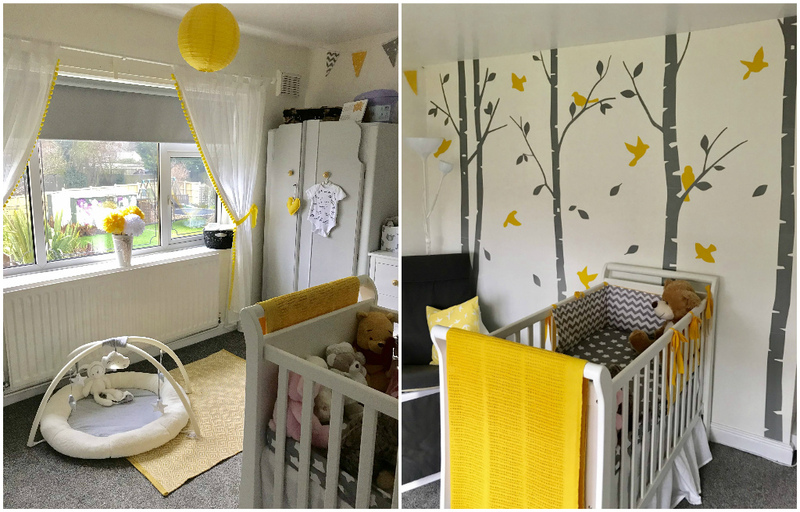 I also didn't want to spend lots of money on 'nursery' furniture that would soon be out of use, so I chose pieces that would grow with her. I struggled with finding a 'theme' as many seemed to be gender specific. 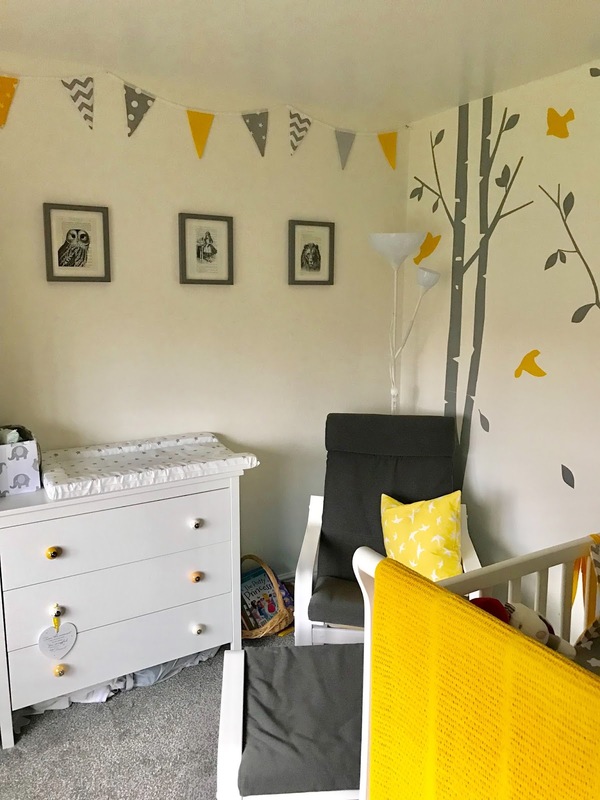 Most of my home is quite neutral but I wanted Neeve's room to be much more striking and engaging for a inquisitive little one. The birch tree mural is made up from large wall stickers that I put up myself. I found these on eBay and was able to select the exact colours I wanted. The cot bedding and matching bunting was handmade using my specific request via Etsy. There is a lot of controversy around the use of cot bumpers. Neeve is currently still in my room and its likely I will take this off once she starts sleeping in the cot, but for now it is purely for aesthetic purposes. I also struggled to find a cot valance sheet, so I used a cheap single one, and just neatly pleated it under the mattress. This hides all the extra nappies, wipes and storage bags of clothes that she's already grown out of. The cot, rug and playmat are all Mamas and Papas. The cot was actually from their outlet store and wasn't the one I was initially looking at. 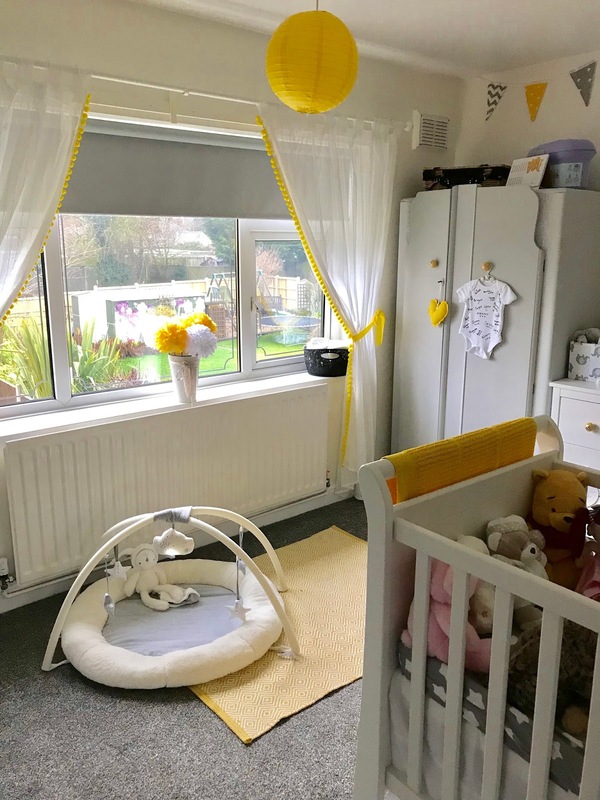 I decided against a cot bed, as we hope to have another baby within the next 2-3 years and will need it back as a cot just as we would be using it as a bed. Cots also take up less room and are cheaper than cotbeds, so this is worth considering if you intend to have children reasonably close together. As I've already mentioned I wanted furniture that was dual purpose. My 'nursing chair' (which to date I have used a total of twice by the way!) is actually an old Ikea Poang chair that we've had for years but kept hanging on to. I painted the pine frame with Rust-oleum Antique White chalk paint and bought a new grey cover for it. 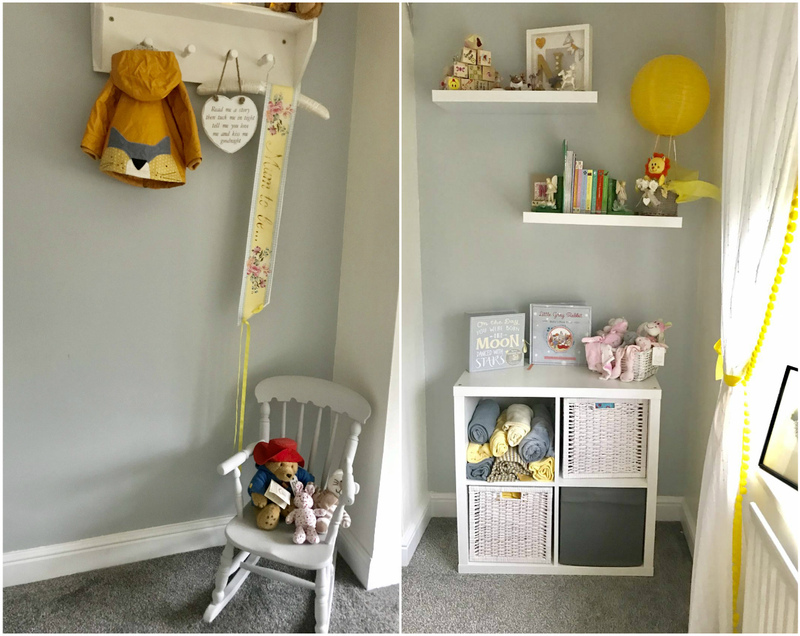 Hopefully when Neeve goes into her own room we will read her bedtime story snuggled up here together, and then it will be moved into her playroom in the future. The chest of drawers is also Ikea. I went for the Koppang drawers (rather than the slightly more expensive Hemnes which we have in our room) and changed the handles. I have kept the old ones to go back on in the future. 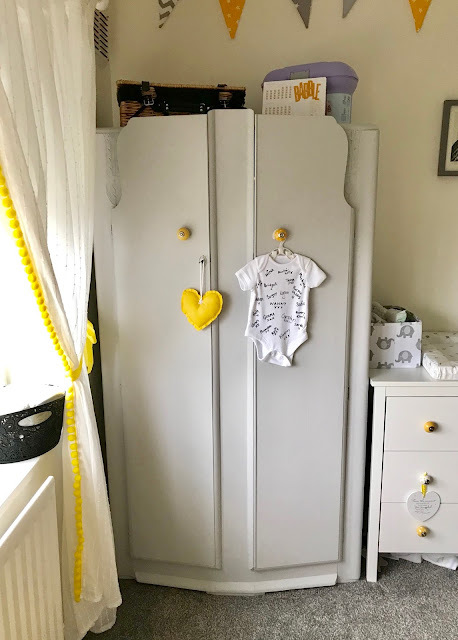 I added a nice storage bx and matching changing mat on top and it makes a decent temporary changing table (again something I have used once!) which hopefully I will use a bit more once Neeve is actually sleeping in there. The wardrobe was a charity shop purchase. Its actually a vintage gentleman's style wardrobe which I painted and changed the handles on, and Scott altered the hanging rails for me.. Its a low wardrobe, but the perfect height for a small child's clothes and no space is wasted as it has six large shelves on one side and two hanging rails in the other. The low height means I can also use the top as additional storage. As it cost me around £80 to make, once it no longer serves its purpose for a child's room, I won't feel as bad about it being passed along in the future, than if I'd spent around £300 on one (which is easily done!). Maybe it could even become a dressing up wardrobe if we have the space? I think most homes up and down the country have this Kallax unit in them, but the really are so multi purpose aren't they? I use these for all our baby lotions and potions, bedding and towels. The little rocking chair has been in my family for years (e think its about 100 years old). Its been painted numerous times but the wood is so soft its impossible to strip back. The peg rail was inspired by Cider with Rosie's nursery, and I got my Dad to make one similar. 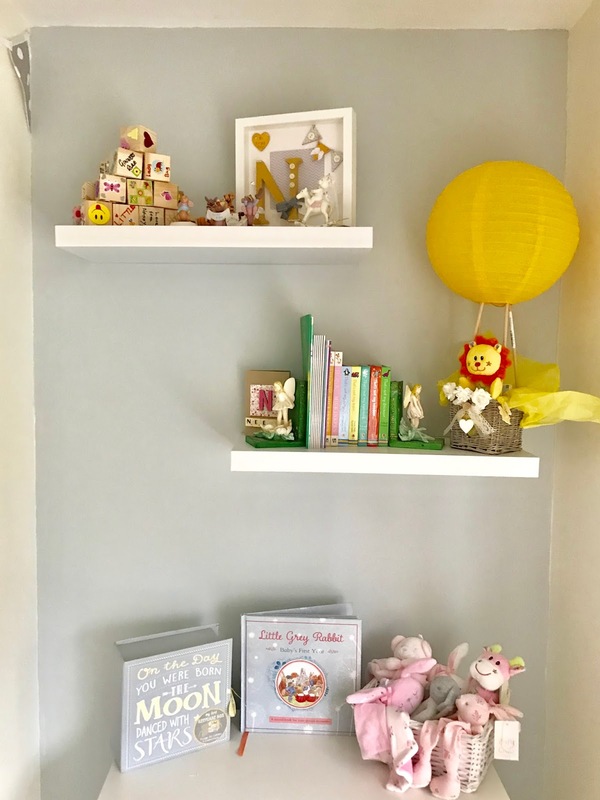 The top shelf has extra special things on such as my Harry Potter snow globe, Flower Fairy book ends, and the first teddy we bought her just after our first scan from Hamleys. I think I've covered pretty much everything. I actually really struggled to find yellow and grey nursery ideas and bedding when I was looking, although a lot of shops I went in did say it was becoming a really popular colour scheme. I hope this helps inspire your nursery ideas. 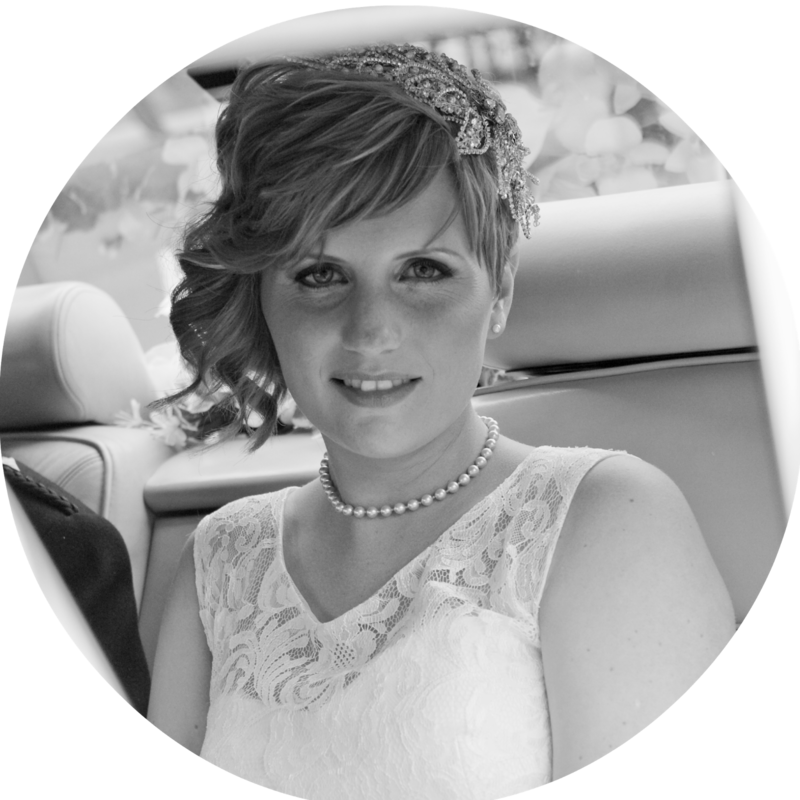 If there is anything I haven't covered that you would like to know more about then please let me know in the comments.